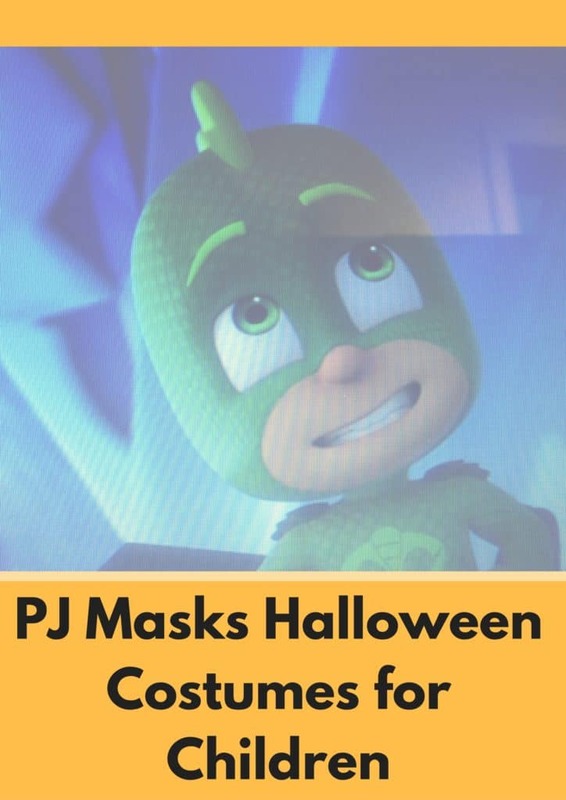 When it’s time to find just the right costume for your child on Halloween, you can’t go wrong by checking out some of the PJ Masks costumes. These costumes come in a large selection so you’re sure to find something for each child. Many of these costumes are easy to wear jumpsuits that are perfect for your toddlers. 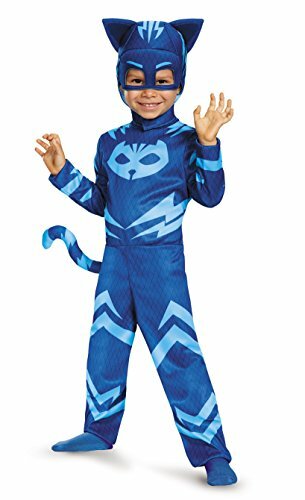 The popularity of these costumes is thanks to the show featuring Catboy, Gekko, and Owlette on Disney Junior programming. These well-loved characters are on the top of every toddler’s wish list. You can find each of these costumes to mimic the different animals as shown on the show. 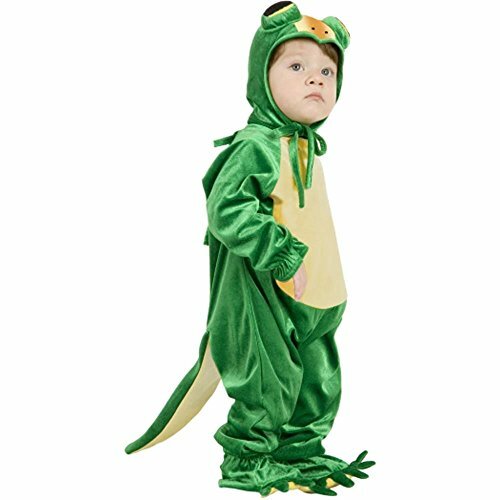 These costumes allow your child’s imagination to take flight as he dresses up. You can find some that have the cat features on the mask and even include tails on the bodysuits. 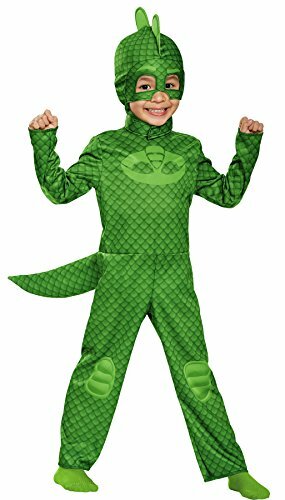 Your toddler will love the costume so much, he won’t want to take if off. The good news is that these costumes can be worn by boys or girls. 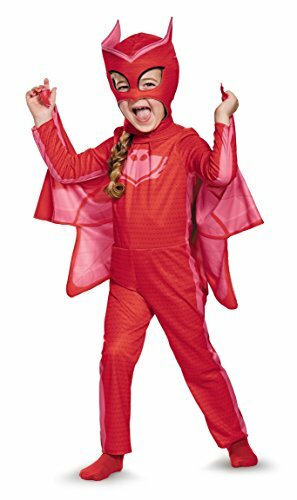 These costumes come in an array of designs and many of them have capes that are done in a selection of colors. These capes are all high quality and long lasting. Even once Halloween is over with, your child will still enjoy playing dress up and pretending to be a superhero while wearing the costume. Because these costumes are for toddlers, there’s not a lot of fuss getting them in and out of the capes. You can simply use the velcro fastener to keep them on over your child’s clothes. When he wants to take the cape off, you can easily remove it. The majority of the capes that are part of these costumes are about 24” in length and have a span of 26”. They’ll comfortably fit a toddler and you won’t have to worry about your child tripping over capes that are too long. They do have to be hand washed and you’ll want to air out the costume when you first get it. The costumes are made of thin polyester and they’re strong. They can withstand even the most demanding night of trick or treating. The masks that come with these costumes are as easy to get on and off as the capes are. What kids love about them is that they’re decorative and are made to look like the animals the costume portrays. What parents love about the mask part of the costume is that strap isn’t too snug and the eye holes in the mask allow the child to have a clear, unobstructed view when walking. Plus, they like the bright colors of the costumes which make them stand out and easier to see.